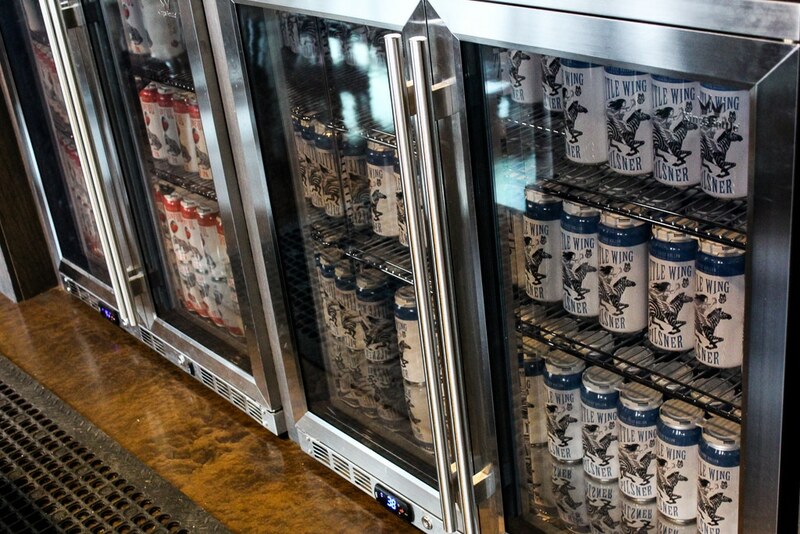 At Horse Thief, we’re passionate about making great beer and great food. Our brewers collaborate with the chefs in our kitchen to select menu items that complement the flavors in our beers. We’re proud of the talent and creativity that our team brings to work every day! 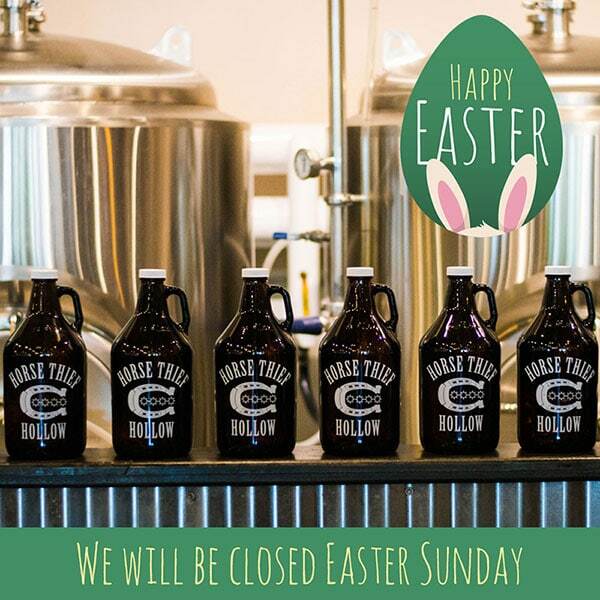 We’ll be closed on Thanksgiving, and we’ve all been planning our menus and the beers to go with them at our holiday feasts. So, we thought, why not share some of our pairing tips with you? Our light and crisp Pilsner pairs nicely with the lightness of the turkey and the savory spices of the stuffing. Available to go in 4-packs of 16-ounce cans or in 64-ounce growlers. This HTH Pale Ale has bright hoppiness and a slight caramel sweetness to complement the savory flavor and cut through the fat of this classic holiday dish. Available in 64-ounce growlers. The malty sweetness and smooth oak notes of this Scotch Ale balance the starchy, savory qualities of this dish. Available in 64-ounce growlers. This strong malty lager has a richness and mild alcohol warmth that go nicely with the sweetness of this dish. Available in 64-ounce growlers. I mean, come on . . . our award-winning sweet potato bière de garde is practically Thanksgiving in a glass. It has notes of brown sugar, cinnamon, nutmeg, and other spices. A match made in heaven. Available in 64-ounce growlers. Bourbon notes of this barrel-aged milk stout with cinnamon and vanilla perfectly complement the richness of pecan pie. NOT Available in 64-ounce growlers, but will be available to go in either 16-ounce cans or in bottles. Hope you all have a very happy and safe Thanksgiving celebration with family and friends. Cheers! Filed under Food and Beer Pairing.